Home F1 "If Vettel fails again, his fate will be sentenced"
"If Vettel fails again, his fate will be sentenced"
This is the statement made by 'Corriere della Sera', which ensures that building a super car and harmony among the pilots are the priorities of Mattia Binotto. "The revolution does not allow for breaks" . With this phrase, the 'Corriere della Sera' begins an article analyzing Ferrari's expectations for the 2019 Formula One World Championship, following the arrival of Charles Leclerc by Kimi Raikkonen or the rise of Mattia Binotto as team leader to replace Maurizio Arrivabene. A little more than a month to start the preseason at the Circuit Barcelona Catalunya, Binotto, who premiered on Tuesday January 8 his new position at the Scuderia in a meeting of Formula 1 in London, is working hard to try to fulfill two priorities: build a car that allows to fight for the championship and reassure and create alchemy between Sebastian Vettel and Charles Leclerc. The transalpine newspaper ensures that from the technical point of view, the 670 project has been under the careful supervision of the engineer of Reggio, as well as It was designed by the same horizontal organization promoted by Sergio Marchionne three years ago where the figure of Laurent Mekies will begin to increase its importance after the promotion of Mattia Binotto. 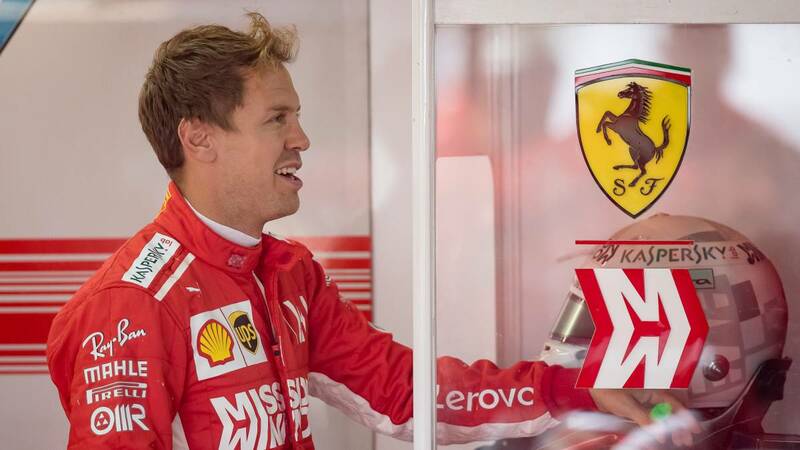 in the same way and despite recognizing that Vettel suffered an atmosphere of tension and uncertainty in 2018, the Italian newspaper that is published in Milan states that the four-time champion can not afford to repeat the mistakes of last year in his fifth season with the Cavallino Rampante, otherwise his fate will be sentenced despite having a signed contract until 2020. "It was necessary to strengthen our organizational structure with a person whose technical competence is beyond discussion. It's only been a few months since I took care of Ferrari. I can not anticipate the decisions Ferrari will make in the coming months. We will discuss these issues at the right time. We want to win the World Cup again as soon as possible, which has slipped away for too long ", says John Elkann at the Detroit Motor Show. It must be remembered that the first information about the 2019 car shows that the Maranello technicians have achieved increase the aerodynamic load and power of the power unit with respect to last season, although it will not be until Sunday February 17 when they begin to solve some questions with the execution of a filming day.